Mortar is a workable paste obtained by mixing a building material (cement and lime) with fine aggregates (sand, surkhi, cinder etc.) and water in a suitable proportion. The lime used for the mortar is fat lime or hydraulic lime. It should be free from silica, gypsum and iron oxide etc. Which have harmful effects on its binding property. Fat lime is used for joining of light masonry while hydraulic lime is suitable for all types of works. There are two methods of mixing lime mortar i.e., manual mixing and mixing in a mortar mill. For manual mixing, two or three tanks of the size 2.0 m × 0.8 m× 0.5 m are constructed at site side by side. The ingredients are first mixed dry on a plate-form and then put into the tank and water is added. The ingredients are then well mixed and left in the tank for a day or two before it is used so that the slaking of lime is complete because un-slaked lime causes blister in the mortar. For the mixing in mortar mill , where there is a big construction work, manual mixing shall not be suitable and in such cases a mortar mill is used for mixing the ingredients. Cement mortar is the commonly used binding materials and sand is used as adulterant (fine aggregate). It is used in all types of construction and is considered best binding material. It sets quickly and provides sufficient strength to the structure. The proportion of cement to sand may varies from 1:2 to 1:6. 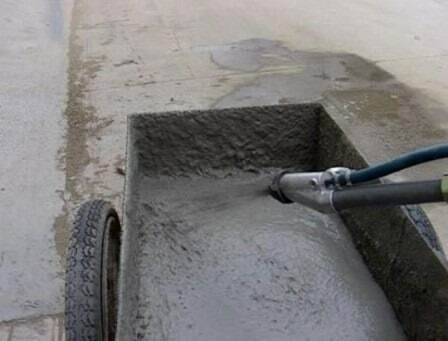 It is necessary to use the cement mortar immediately after mixing. 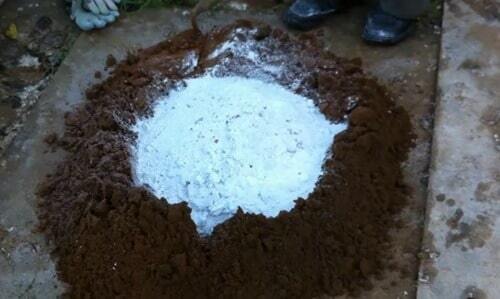 If the mortar prepared is not used within the initial setting time of the cement it should not be used. For mixing, the dry ingredients are first mixed dry in required proportion on a puccha platform. The water is added only when it is required to be used. The mixing may be done by hand or by mixer. Mixer are used where mortar is required in large quantities. Measured quantity of sand is first spread over the puccha platform. Then required quantity of cement is placed over the spread out sand uniformly. Then these ingredients are mixed thoroughly by means of shovels etc. Then water is required quantity is added to the mix and mixed properly and thoroughly to get a paste of uniform color. If machine mixing is to be done, first dry ingredients in the required proportion are placed in the mixer and then these are mixed dry by rotation of the drum of mixer. A required quantity of water is then added and drum is given rotation by means of power driven engine. The mortar prepared should be used immediately to avoid its setting. The mortar prepared by using cement, sand and lime are called gauged mortars. The lime is added to the cement to improve work ability, plasticity, setting time, hardening and ultimate strength to the mortar. The setting time for such a mortar is considerably increased and the mortar may be used within two hours after adding water to it. First lime and sand are mixed in required proportions and lime sand mortar is prepared by adding water. Then required quantity of cement is added to it. Some times lime is slaked for about 2 days and added to cement sand mortar at the time of mixing. The construction done in lime or cement mortar is necessarily to be cured for required number of days to impart the structure a required strength. 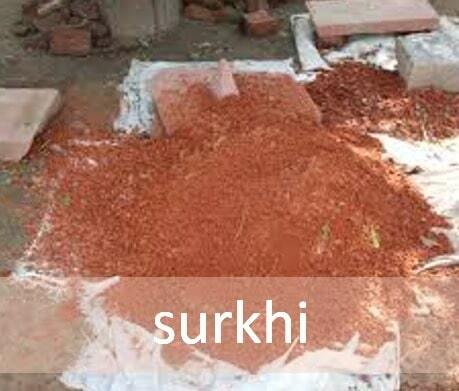 Surkhi is generally used for preparation of lime mortars. It is obtained by crushing old bricks and brick bats to very fine powder. When added to lime it provides some strength and hydraulic properties to lime mortar. As surkhi is made from bricks hence it provides brick color to the mortar. 1. It is used to bind together the stones or bricks to give a required strength to the structure. 2. It provides homogeneous mass to the structure to take up the loads coming over it so that it is distributed over its foundation uniformly. 3. It helps to fill up empty joints in the masonry. 4. It is used for plastering the structure, gives an even surface to the structure. 5. To provide a weather resisting or a durable layer between the different courses of masonry in the structure.